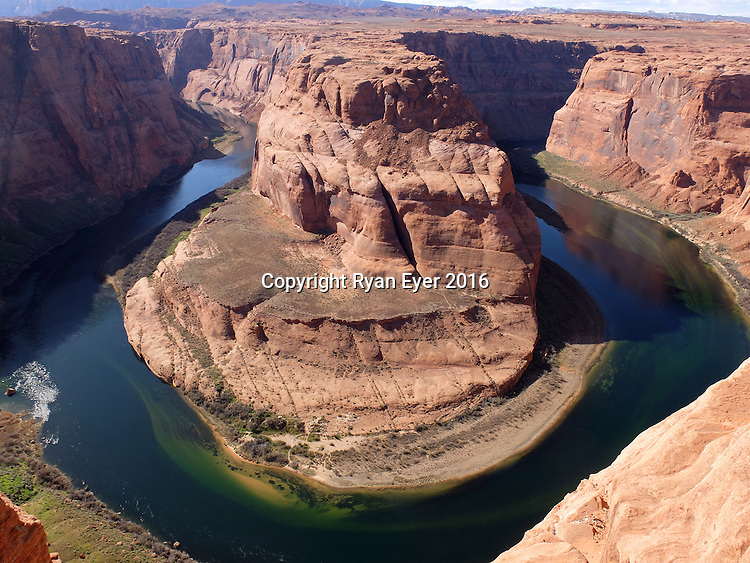 Page, Arizona - 9 March 2016 - Horseshoe Bend is a horseshoe-shaped meander of the Colorado River located near the town of Page, Arizona, in the United States. Conditions: One time usage only and no redistribution rights unless otherwise agreed. Internet sites of print publications are deemed to be separate publications in their own right.